This long haired, bearded man has the appearance of a wizened old man wearing torn and threadbare clothing with leaves. 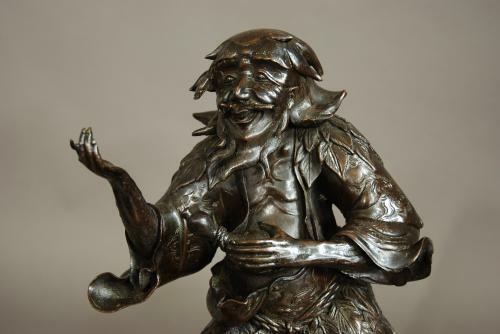 He is depicted standing on a naturalistic bronze base of gnarled appearance. The bronze is good condition other than part of a finger is missing from his right hand.